Hamster Club is happy to announce that one of its members: Nadia Vella was awarded the status of Expert Author with Ezine Articles. Nadia Vella forms part of a much motivated Hamster Club team and is very happy that she was awarded such a prestigious title. Nadia Vella formed Hamster Club in November 2007. She has several experiences on hamsters and had shown her interest in hamsters from a young age. 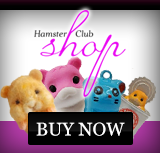 Hamster Club boasts of the largest hamster website with all the hamster information you need, articles, games, hamster videos, hamster products and more! Expert Author Nadia Vella writes several hamster articles. 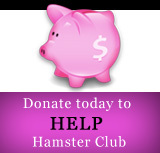 You can read these articles at the Hamster Club articles section or on Ezine Articles. Nadia Vella also wrote various articles in different local newspapers and magazines amongst which 'The Sunday Times', 'Times of Malta; Junior News', 'The Malta Independent; Crackers Magazine' (various articles), 'The Malta Independent on Sunday', 'The Malta Independent', 'Phase Magazine', Taghna t-Tfal Magazine', 'Vida Magazine', 'L-Orizzont', 'and other various articles in 'Il-Mument'. Nadia Vella also represented 'Hamster Club' on various programmes aired on local radios and TV stations.